Just like the Curveball, the Waxed Cotton version transcends the field and feels right in almost any setting, particularly those cloudy moments when everyone else is running for cover. You, at least, will have options. 10 oz. paraffin-treated 100% cotton duck in a classic ball-cap style. 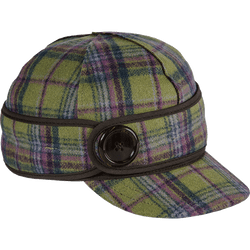 Old-fashioned is not a negative term if it means a cap that is an actual size - in my case 7-1/2 - that doesn't end 2/3 of the way around your head to accommodate a Velcro or even clunkier metal clasp to allow for adjustment. 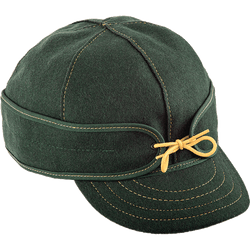 Old-fashioned also means no logos or advertising or anything else beyond the subtle Kromer embroidery on the side, which is hardly visible, and a cap that has structure without looking like a geodesic dome, and finally a bill that is just the right length for shade and rain. Oh, and waxed for rain shedding and long life. What's not to like? the crown is rather low and w/o an adjustment tab its not possible to wear a liner. By far the best cap I've ever owned. High quality construction - love the liner. It is important to get your cap in the correct size. Take a snug measurement and add an 1/8". Nice looking cap would like it to be just a wee bit deeper. 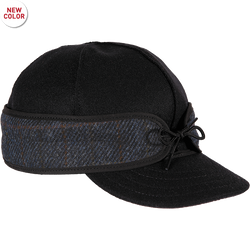 Stiffness of cap when new makes the shallowness of hat seem like hat could fly off in strong breeze. Incredibly well made! Very comfortable. Runs one size big. All my Stormys are 7 5/8, had to go with a 7 1/2 with this model.